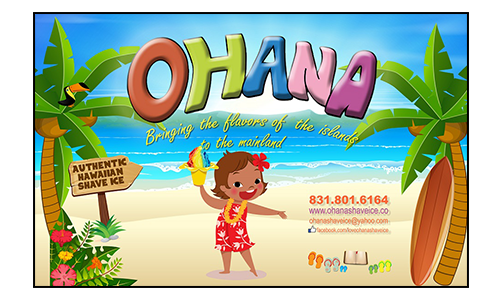 Online ordering menu for Ohana Shave Ice. You no longer need to wait for your next Hawaiian vacation because here at Ohana Shave Ice, we're bringing you the authentic flavor of your Hawaiian shave ice experience. We serve Pitaya Bowls, Smoothies, Ice Cream, Shave Ice, Milkshake, and more! We're located Andy Hardin Stadium at the corner of south Street and San Benito Street. We're by Dunne Park. Order online for carryout!